Just got these photos back from one of our favorite summer weddings! 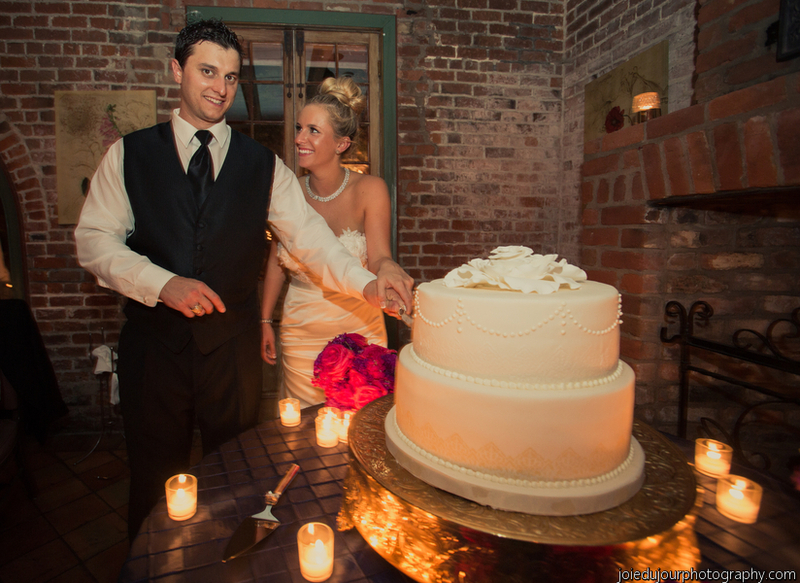 We loved how the sumptuous jewel tones of the floral designs used fit into the gorgeous brick courtyard at Broussard’s. 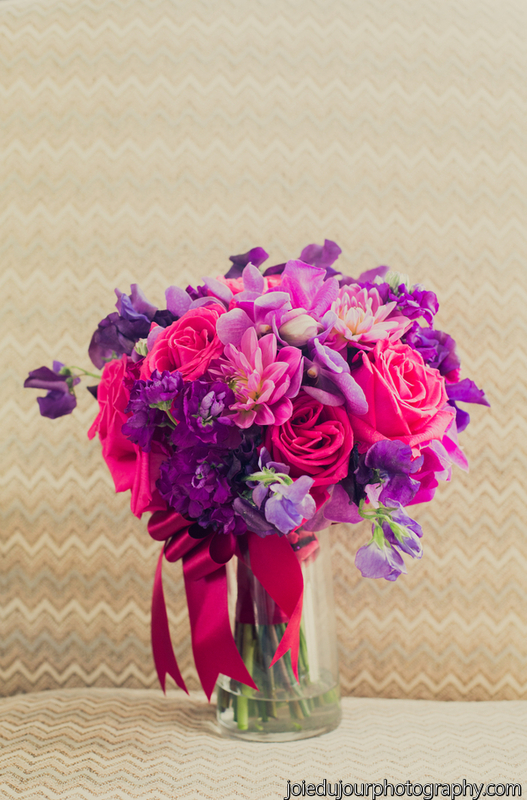 We loved the bride’s bold color choices of purple and fuchsia for her bouquet. 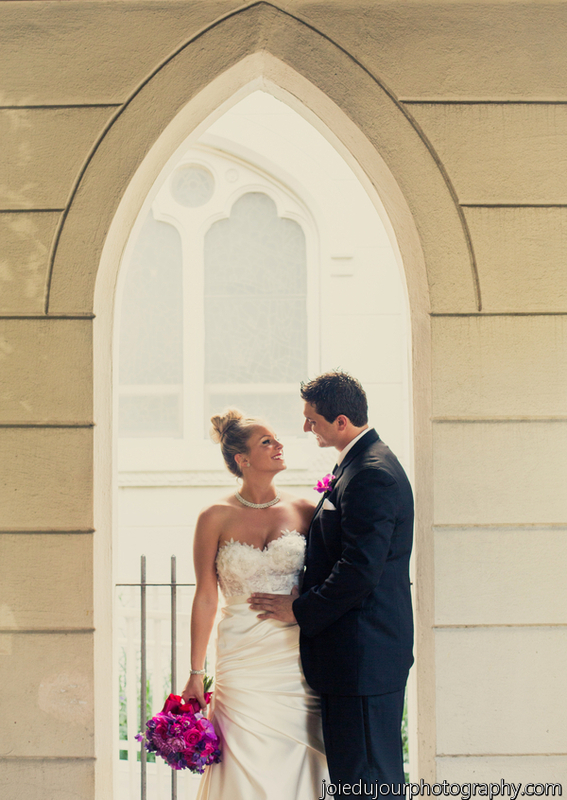 Ashley and Michael, our bride and groom, looking blissfully in love on their wedding day. Up close look of all the pink and purple flowers in Ashley’s bridal bouquet. 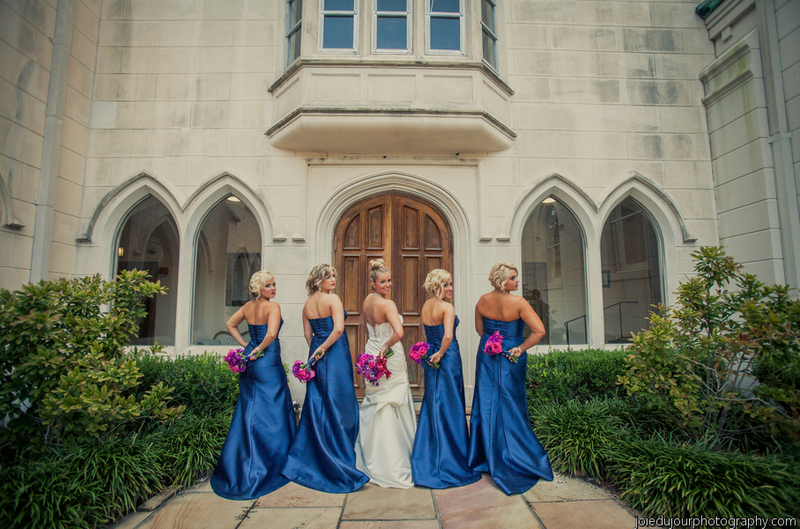 Look at how the bold colors in the bouquets really pop alongside the stunning blue bridesmaids gowns.